I am grateful and delighted to be here in Samoa - so is our entire delegation! 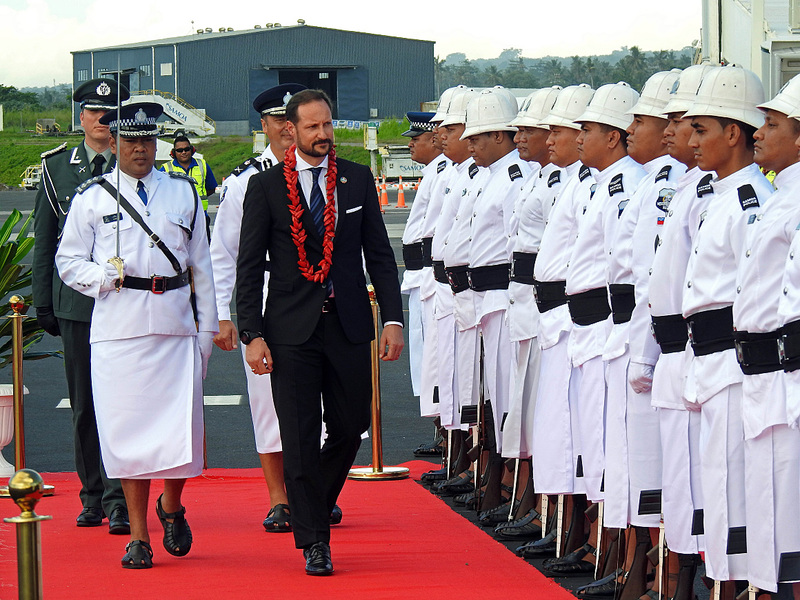 We have visited both Tonga and Fiji on our comprehensive visit, and we have seen, heard and experienced a lot. When I come home to Norway, I have plenty to tell my children – about the beautiful nature of the South Pacific, but also about the threats to the world’s common paradise. Our two countries are literally on opposite sides of our planet. When the sun rises in Samoa, the sun is setting in Norway. We came from the last days of winter in Norway – from the cold north of Europe. Here in the South Pacific we have been given a warm welcome – amongst friends we have much in common with. We are very grateful for your genuine hospitality. 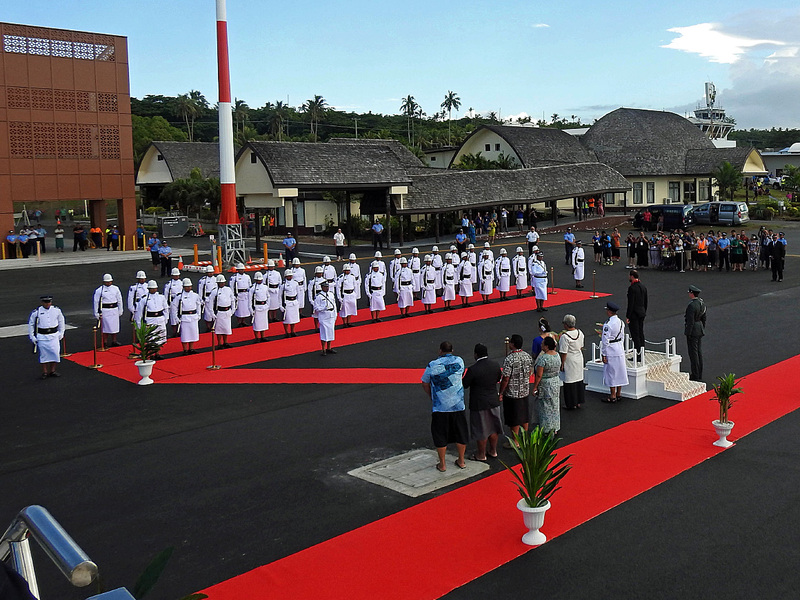 Samoa plays a key role in the region – and internationally. It is no coincidence that the Action Plan for all Small Developing Island States is termed the SAMOA Pathway. We wholeheartedly support it. 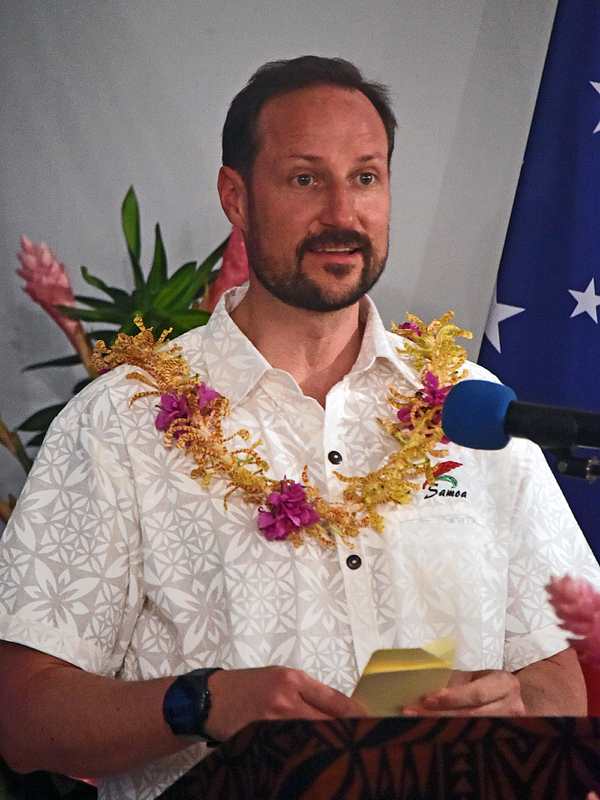 Norway was present at the political level when it was adopted here in Samoa. We also took part when it was reviewed last year. Norway is pleased to be a lead partner in this initiative. Throughout our long blue history, the ocean has provided us with food, jobs, energy, export revenues and a vast amount of knowledge and research. Our peoples share a deep connection to the oceans, which are essential to our livelihoods, history and culture. And we share a concern that our oceans are under threat. From overfishing and from marine pollution. The oceans of the world form a global ecosystem. Neither fish stocks nor plastic waste are stopped by boundaries, or confined to economic zones. A global effort is required to secure our oceans for sustainable harvesting in the future – so that fishermen can bring in their catch and tourists can meet clean nature. We already stand together in the fight to reduce global climate emissions. Our two countries cooperated closely in what was known as the High Ambition Coalition, leading up to the Paris Agreement. We know that climate change has already had an impact. In the high north, we see the ice melting. You see a rising sea level that threatens islands and atolls – and you experience the increasingly frequent cyclones that damage your islands. It was saddening to learn that the latest IPCC-report stated that – unless emissions are significantly cut – most of the coral reefs will be dead in our lifetime. No one feels the harmful effects of climate change more than you do. Most greenhouse gases are emitted elsewhere, but you have to bear the greatest burden. We share your view that climate change is a threat to our common security. This fight to strengthen climate action is vital. 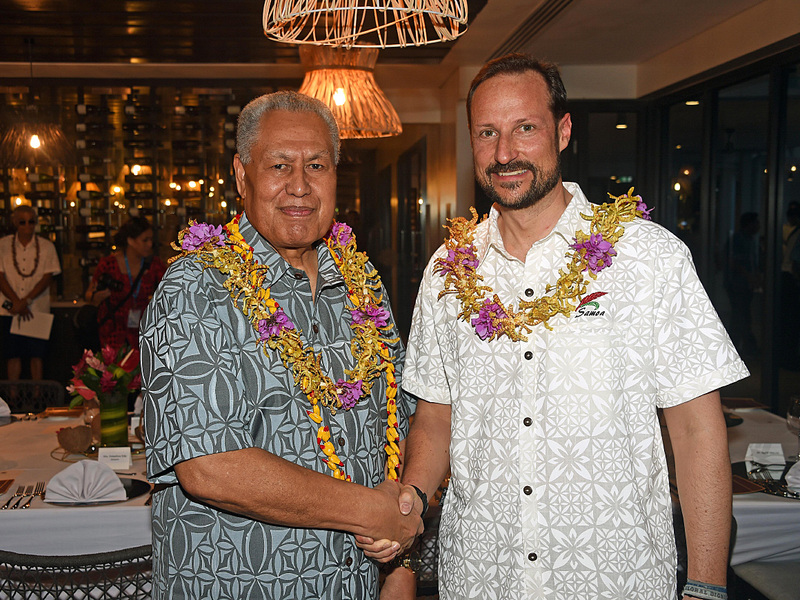 We are proud to have been working closely with Samoa on the board of the Green Climate Fund for many years. We must ensure that the Fund continues its critical work to enable small states to strengthen their climate resilience. As a small country, Norway’s approach is to listen, to consult and to create alliances that lead to concrete results. We support the UN in creating a level playing field for all nations. The big ocean states of the Pacific are important players in our efforts to meet global challenges. We seek your partnership. Our peoples share a deep concern for the future of the planet, its oceans and its climate. We thank you for your leadership in tackling these challenges. It is about the future of our planet – nothing less! One of my passions is watersport, and amongst them - surfing. I have children who I hope will share my connection to the sea as they grow. We must ensure that our children and future generations have the opportunity to experience, enjoy and prosper from the vast beauty and wonderful diversity of life below the waves. Just as your ancestors sailed this vast ocean in their large doubled-hulled canoes, and as my ancestors sailed their open longships across the stormy North Atlantic, we must now boldly face the challenges of today and navigate towards new horizons. Together.